This is an illness that develops in some people who have a throat infection that is caused by a streptococcal infection. 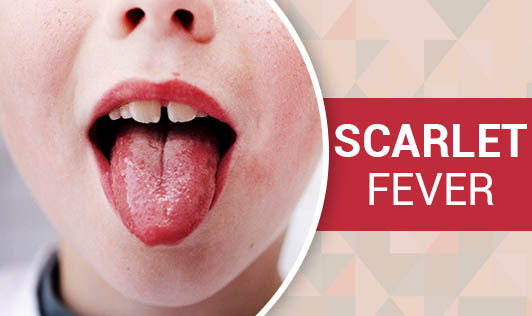 Scarlet fever is most common in children of 5 to 15 years of age. Scarlet fever is characterized by a bright red rash that covers most of the body and is often accompanied by a sore throat and a high fever. In scarlet fever, the bacteria release a toxin that produces the rash and the red tongue. The infection spreads from person to person when an infected person coughs or sneezes. Contact your doctor if your child has a sore throat accompanied by red rash, swollen tender glands in the neck and a fever of 102 degree Fahrenheit or higher!